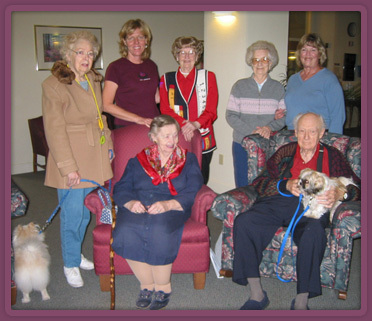 Wellness Through the Ages offers pet therapy to senior residents. They love the interaction with the animals and the unconditional love they receive. Vivien Hoyt, a Recreation Therapist, brings various animals to senior communities to visit the residents. They love her pet Cockatiel, Peaches, especially when he sings for them or sits on their shoulder. They also enjoy her American Eskimo Dog, Shiela. She is very loving and brings smiles to everyone’s face.